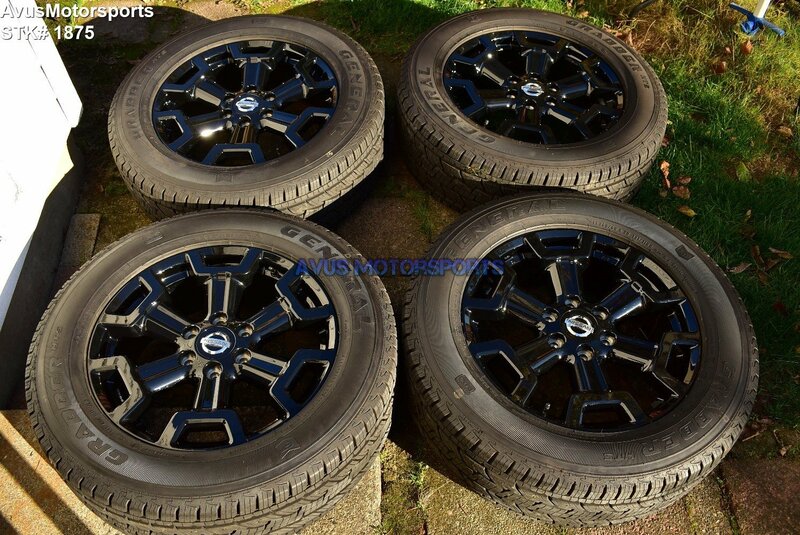 This auction is for a set of (4) 2018 Nissan TItan Midnight Edition OEM 20" genuine factory wheels NOT REPLICA and General Grabber LT265/60R20 tires. These wheels and tires were removed from 2018 Nissan Titan XD, it was taken off around 300 miles. They're in excellent like new condition, but do expect minor blemishes & scratches (see all pics).